My grandfather was the president of his law class. Like so many men of his generation, when the time came and his country called, he went to war. His ship was attacked by “friendly fire” and he was left with a metal plate in his head. As a result of his injuries, my grandfather suffered a serious loss to his vision, therefore he was unable to practice law, drive a car, or do many of the things that his previously able body could do before his service to his country. He went on to work as a furniture salesmen for Goldsmith’s, where he retired many years later. My grandpa flew a flag every day, wore a smile that was identifiable by most everyone in my hometown, and never once complained about the cards that life had dealt him. He had an unusually great sense of appreciation. As a child, I would walk with him the one-plus mile journey from our house, through the neighborhood, and along the busy street to Danvers to get a cheeseburger and fries. Grandpa appreciated a good cheeseburger. He appreciated a good walk. He appreciated the time we spent together. And, he appreciated having a home for which to return. I recall my grandpa teaching me to mow the grass on a hot summer day. When it was time for a break, he fixed us both a cup of ice water. He taught me how to gently shake the cup back-and-forth so that the ice would quickly chill the water. My grandpa drank a lot of water and he cut a lot of grass. He appreciated a cold cup of water. He appreciated having a lawnmower. He appreciated having capable legs for which to mow the yard. And, he appreciated having a lawn to mow. Grandpa didn’t say a whole lot. He didn’t have to. We had an understanding, the two of us. I studied him and his demeanor more than either of us were capable of knowing at the time. I remember his long pauses that he would take at different times throughout his day. It was almost as if he wanted to take brief moments, just to “take it all in”. He could have complained. He could have moped and carried on. He could have felt cheated that he had to grow up in a period that involved The Great Depression and a World War, but instead he seemed to embrace it. It was almost as if what he endured was a benchmark. He saw his experiences as the alternative, not a punishment. He used the bad things that happened in his life as reasons to be grateful for what he has now, instead of harboring resentments for experiences of the past. I try to think about my grandpa when I get frustrated that my internet is not working, my dryer requires two cycles, my numbers are down at the gym, my trash has to be rolled to the street, my laundry needs to be folded, or I have to prepare my own meal. I could stand to take a few moments each day to “take it all in”. 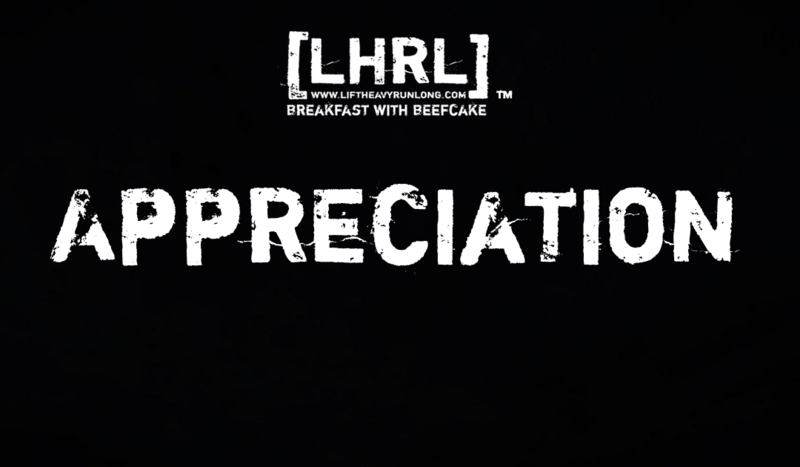 There is a lot of appreciation which I have good reason to demonstrate on a daily basis. There is a lot to be grateful, and I should work harder at practicing it. Thanks for sharing your grandfather with us. We all could learn from people like him. Roger, you are welcome. I am not sure why your comment hit me so hard emotionally, but it did (in the most positive way). I guess I really appreciate someone benefitting from the kind of man that my grandpa was. Thank you so much for these words. Your grandfather was a true gentleman. He certainly was. Thank you, Mr. Jackson, I appreciate your continued support. Wilson, thank you for the wonderful words on appreciation and gratitude shown by your grandfather. We all need to live our lives like he did. What a great example and role model he was . Thank you, Jeannie! He was a great example and role model. I appreciate you reading. So great you remember your Grandfather. Both of mine die before I was born.